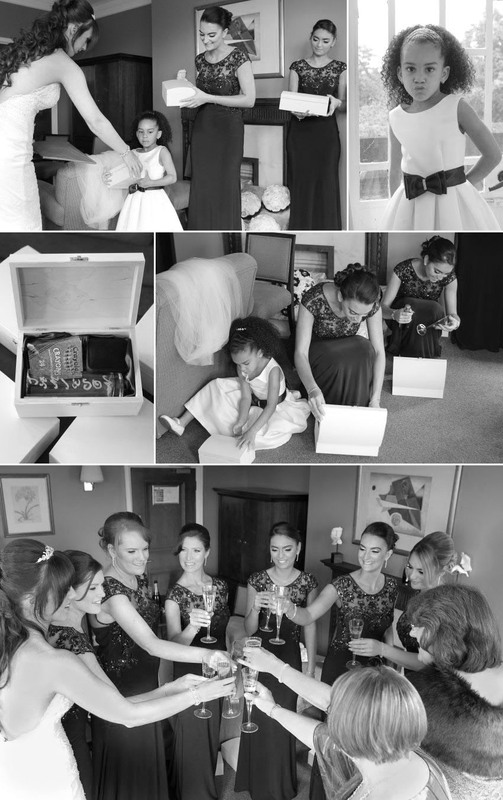 Bonnie embraced the spirit with a bridal party that featured six bridesmaids and a flower girl, all of whom were on hand to keep Bonnie calm as she got ready at the hotel. The grand staircase with its magnificent wood panelling provided the perfect backdrop for the first photos of Bonnie in all her bridal finery, as she walked down the stairs to go to the church. While Bonnie and her family were at the hotel, George was enjoying the traditional Cypriot Stolisma which featured, of course, lots of laughter amongst the customary music and dancing. There are times during their marriage when a couple will rely on the support of their family and friends. As well as the Stolisma wishing them a happy, fertile marriage, the act also lets the couple know that their loved ones are there for them both now and in the future, should they ever need advice, help or guidance. The wedding ceremony was beautiful, and Bonnie readily embraced the customs of her husband’s family, including the Stefana (flower crowns). The interior of this church is very decorative, but Bonnie outshone all the gilding as she made her way down the aisle, her strapless wedding dress with low back and elegant train ensuring all eyes were on her as she approached an excited (and slightly nervous) George. It can be difficult for families marrying into a different culture and church, but Bonnie’s relatives and friends embraced the ceremony wholeheartedly, with both sides of the church uniting in their love and good wishes for the happy couple. Even if you are not considering marriage, these photos of a wedding at Selsdon Estate will have you dropping down on one knee to pop the question! 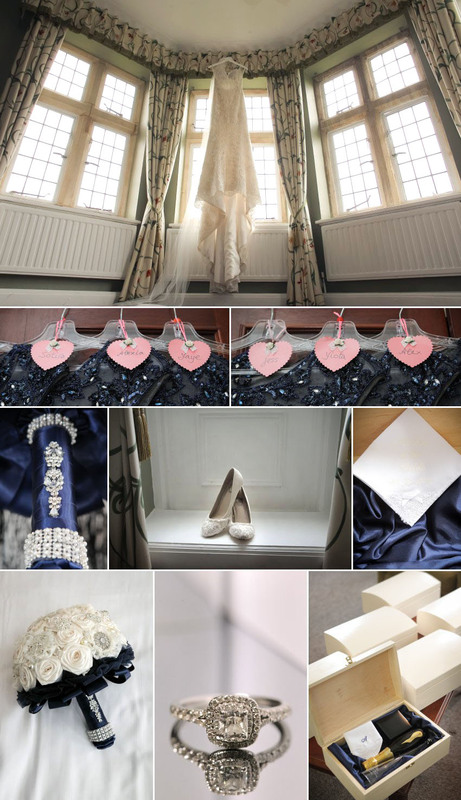 The historic mansion has recently been refurbished to provide a wonderfully luxurious country wedding venue that is conveniently close to London. 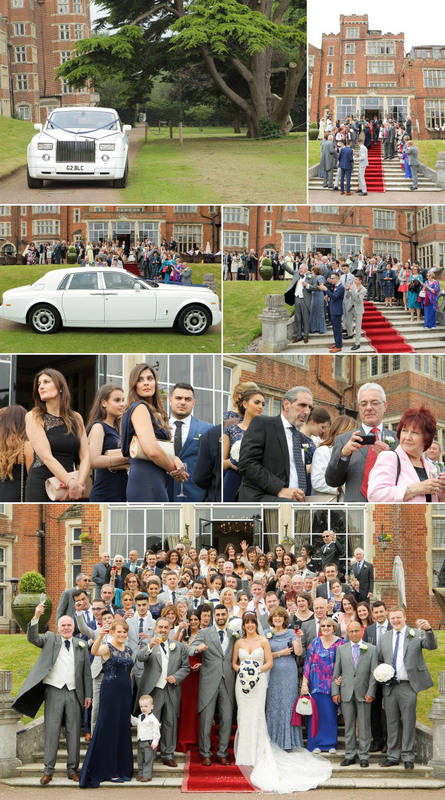 We waited until we reached the Selsdon Estate to take the group shots as the red-carpeted stairs and magnificent building provided the ideal backdrop. While the guests happily enjoyed canapes and drinks, we moved on to the smaller groups of families and the wedding party, as well as the couple shots. 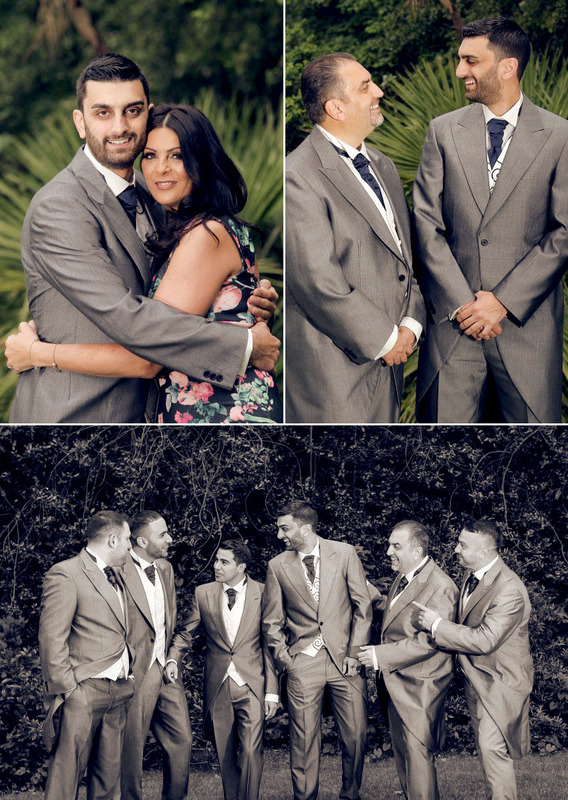 During their pre-wedding consultation, Bonnie and George let us know what group shots they wanted and so on the day it was a simple matter of letting those people know when and where they needed to be. A great tip is to give this list to a trusted guest on each side and ask them to round up the necessary people a few minutes before they are needed. The couple’s fresh white and navy theme was stylish and timeless and went wonderfully with the classic interior of the hotel. The food was followed by energetic dancing, including the money dance, and it was wonderful to see all the guests enjoying the celebration. It is easy to love your job when days are this much fun, and we appreciate Bonnie and George choosing us as to provide their wedding photography and wedding videography.